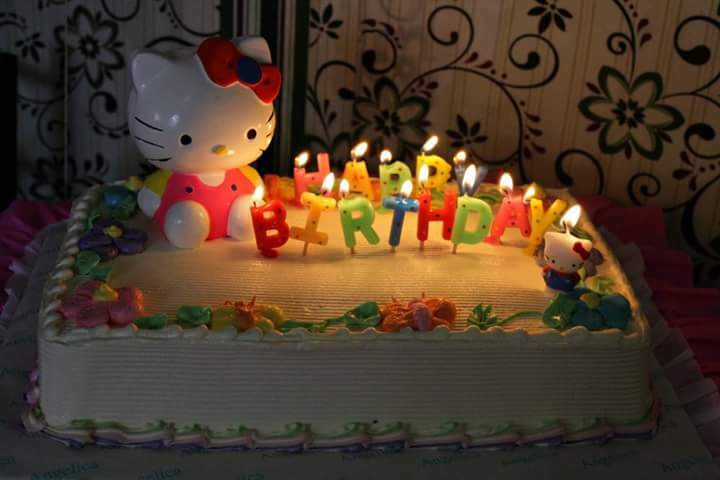 If you follow me on Facebook, you might have seen me post photos of my daughter with her Hello Kitty items. The girl is crazy over this character. 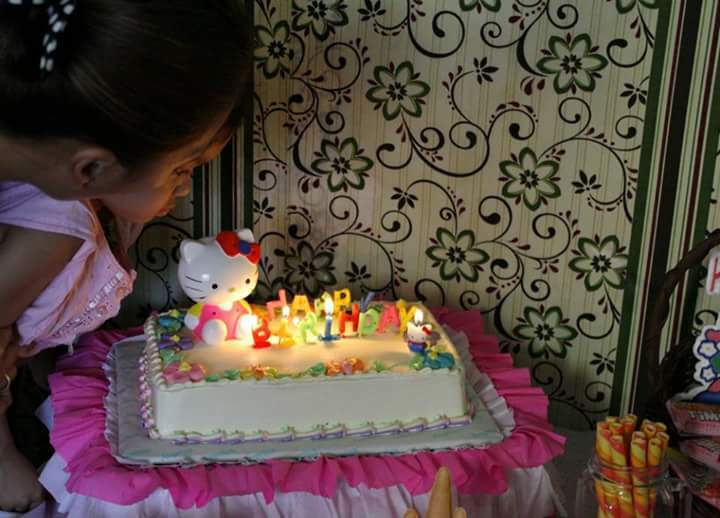 As a matter of fact, she requested for an HK birthday party for her 3rd birthday. 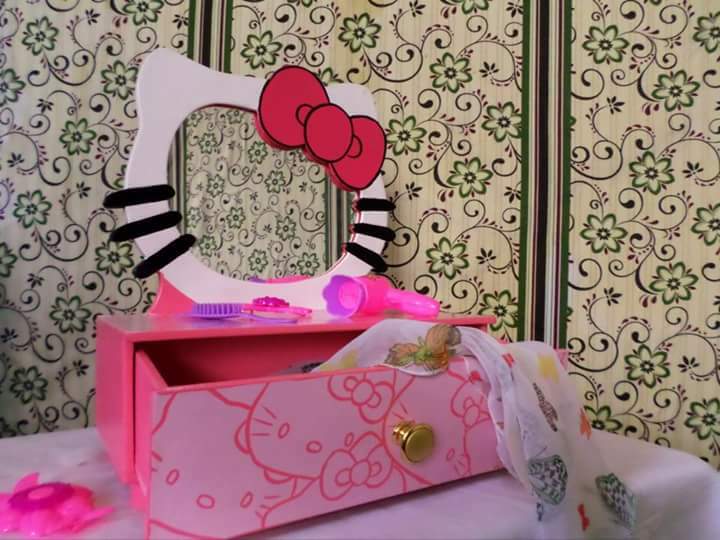 She also has an HK Vanity Top which she got from Rolled Into One Mom. 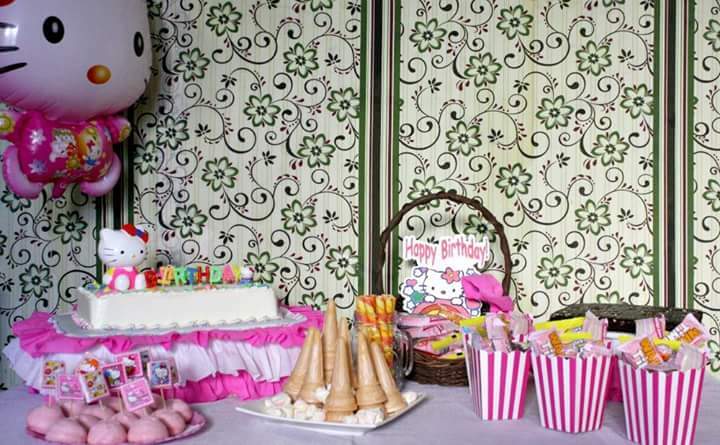 She has a lot of other toys and merchandise at home so needless to say, she is a BIG Hello Kitty fan. 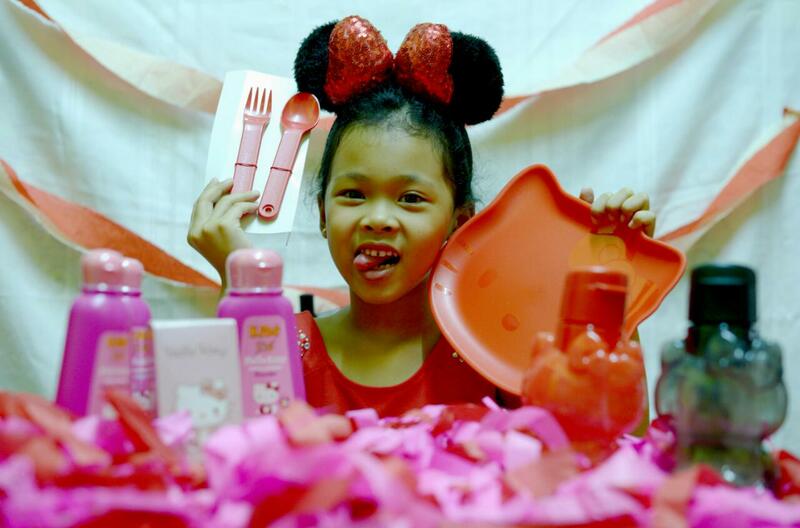 She is celebrating her 6th birthday next week and this lucky girl just received an early surprise from Tupperware Brands; a complete set of their latest and limited-edition Hello Kitty line! Lucky, lucky girl! 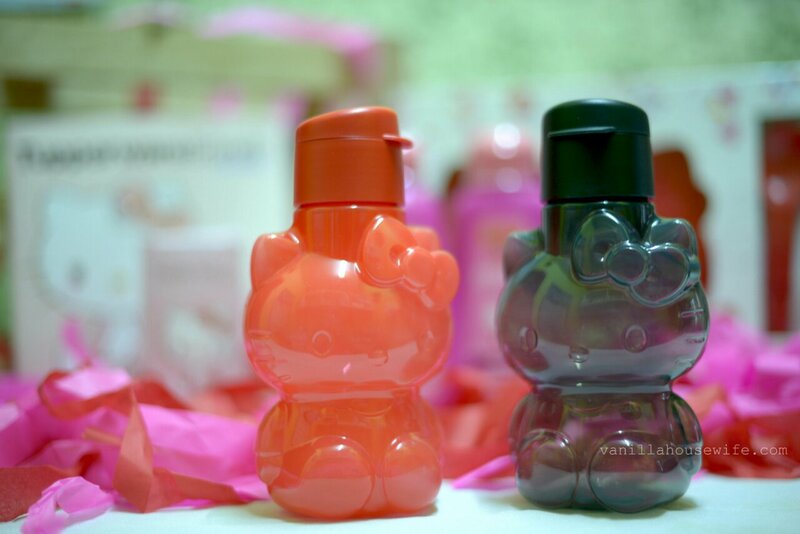 Hello Kitty 425mL Eco Bottle (Black and Red) – it has a spout seal that she can easily open but because it has a tight screw-on cap, it doesn’t leak at all. She has been using this for her water and juice to take to school since she got them. And take note, it comes with a 10-year warranty. 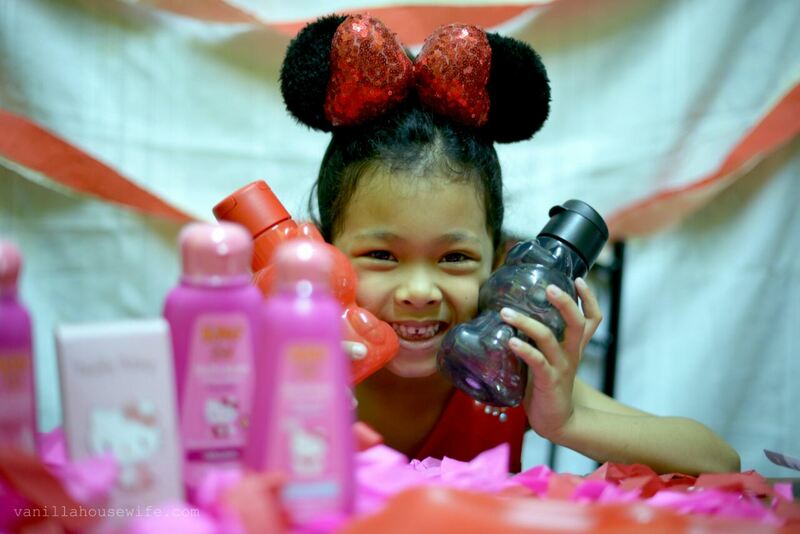 Hello Kitty Kids Plus+ Powder, Hello Kitty Kids Plus+ Cologne and the Hello Kitty Kids Plus+ Head-To-Toe Wash – Kid-care products that are sweet smelling, p-H balanced, hypoallergenic and dermatologist-tested. 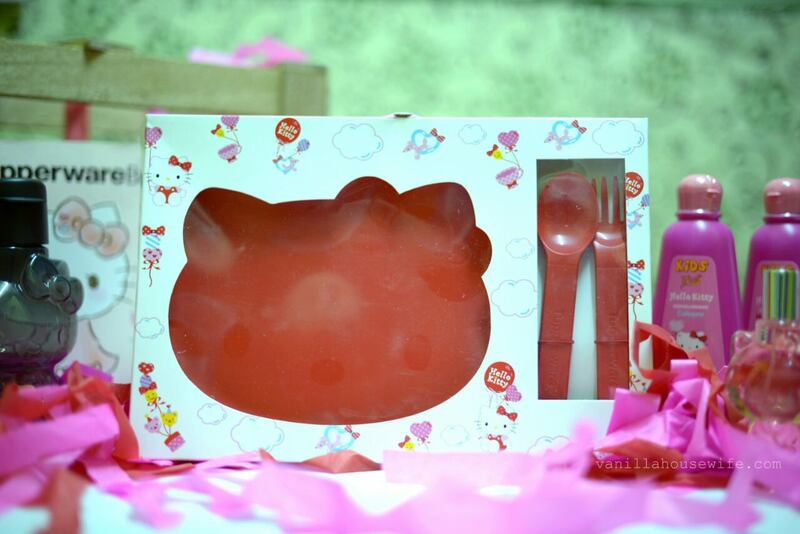 Dining Plate with matching Cutlery Set – Comes in a cute gift box, this Hello Kitty- embossed plate is microwave and dish-washer safe. Eau Fraiche 60ml Pink – I just want to make it clear that the PR said this is mine. So it’s mine! Hahaha! 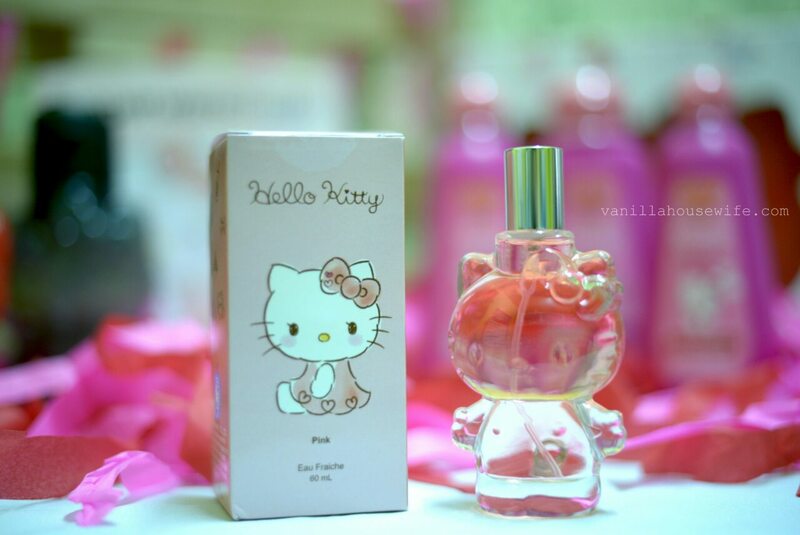 A sweet smelling perfume in a very cute Hello Kitty glass bottle! 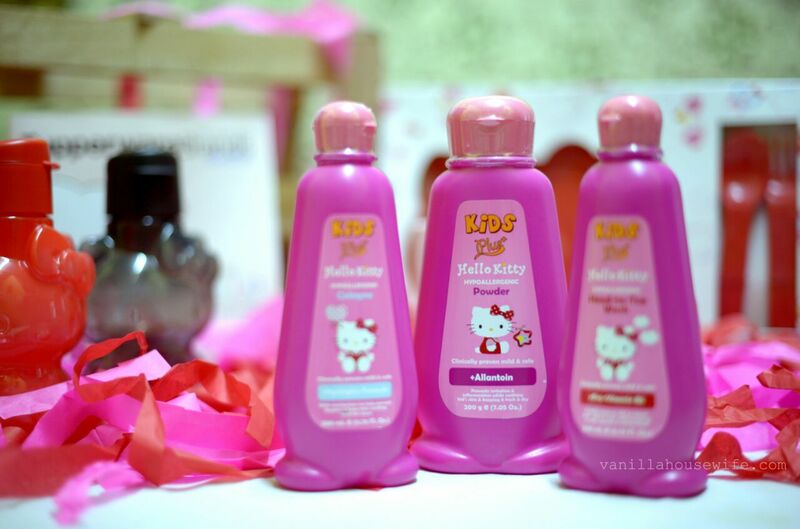 Other available scents are Blue Fruity Floral and Purple Floral Oriental. 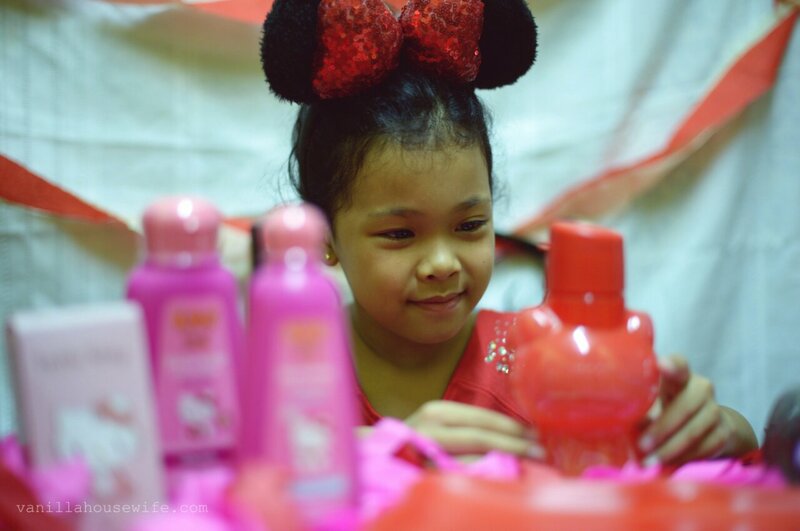 And here’s the lucky girl checking her gifts out. She loves every single item! 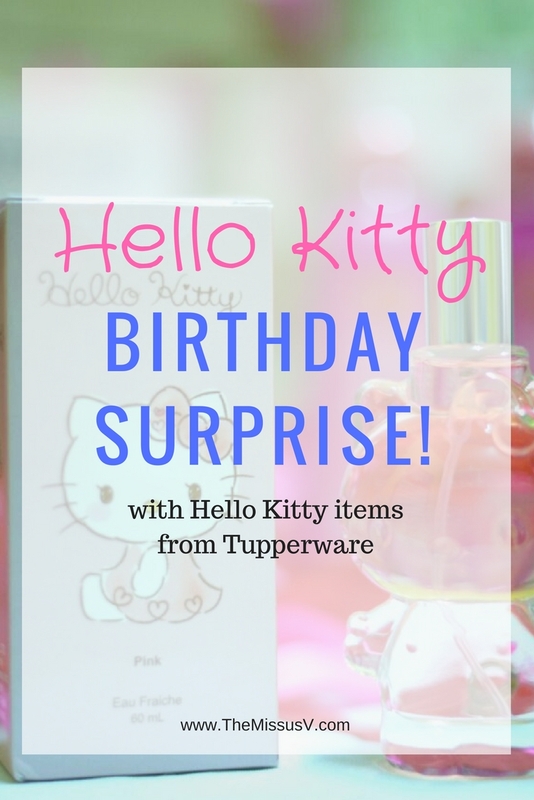 The Hello Kitty items are now available in all Tupperware Brands branches nationwide but hurry because they will be available for a limited time only! 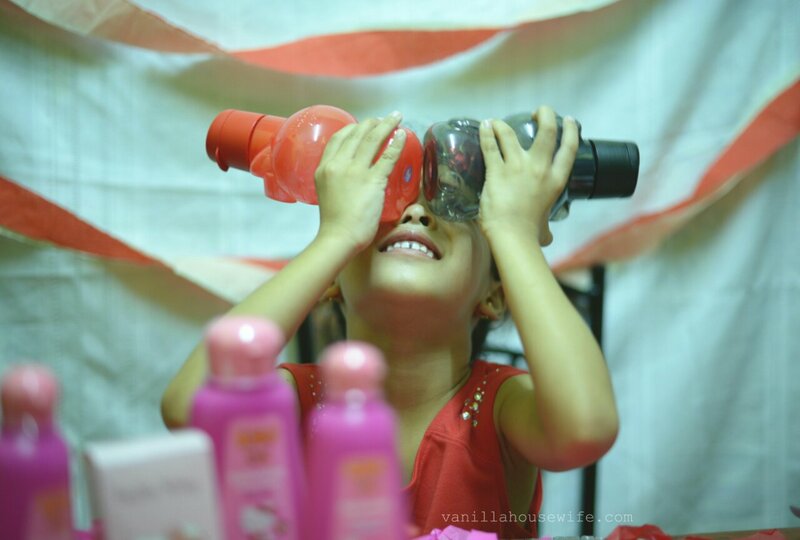 You can follow Tupperware Brands PH on Facebook, Instagram, or check their website to know more about these products. 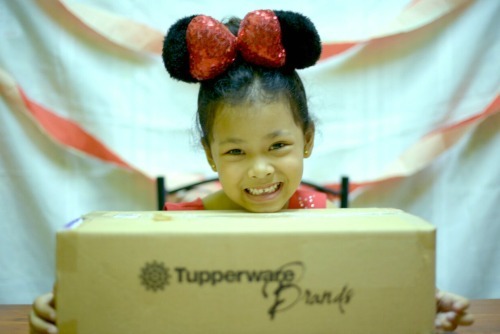 Thank you Tupperware Brands PH, you made one little birthday girl very happy! Disclaimer: I received one or more of the products mentioned above. Opinions are my own. No other compensation received.